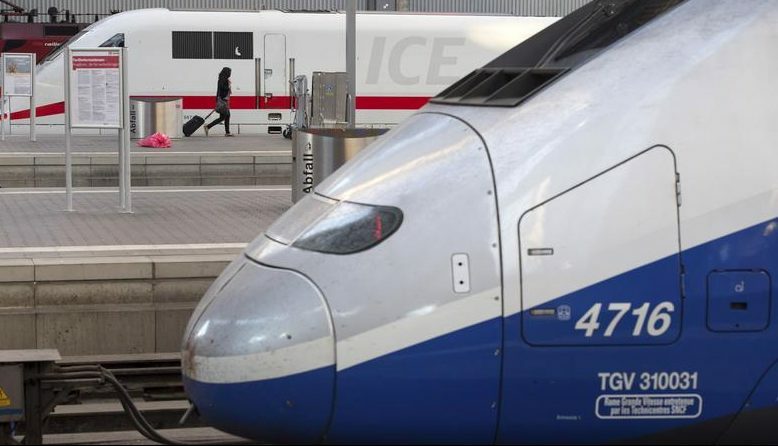 French High Speed Train (TGV) made by French train maker Alstom stops next to a German High Speed Train (ICE) made by Siemens at Munich's railway station June 16, 2014. Siemens will accept defeat if the European Commission blocks its plan to merge its train unit with French peer Alstom, the German conglomerate’s Chief Executive, Joe Kaeser, said on Jan. 30. "We are not bitter, we are not angry at all. We have different options. If it works it will be good for Europe, Siemens, Alstom, and for customers," Kaeser said. "If not, we will continue to lead in mobility as we have before." The commission is due to announce its decision by Feb. 18. Reuters reported on Jan. 18 that antitrust regulators were minded to veto the deal.